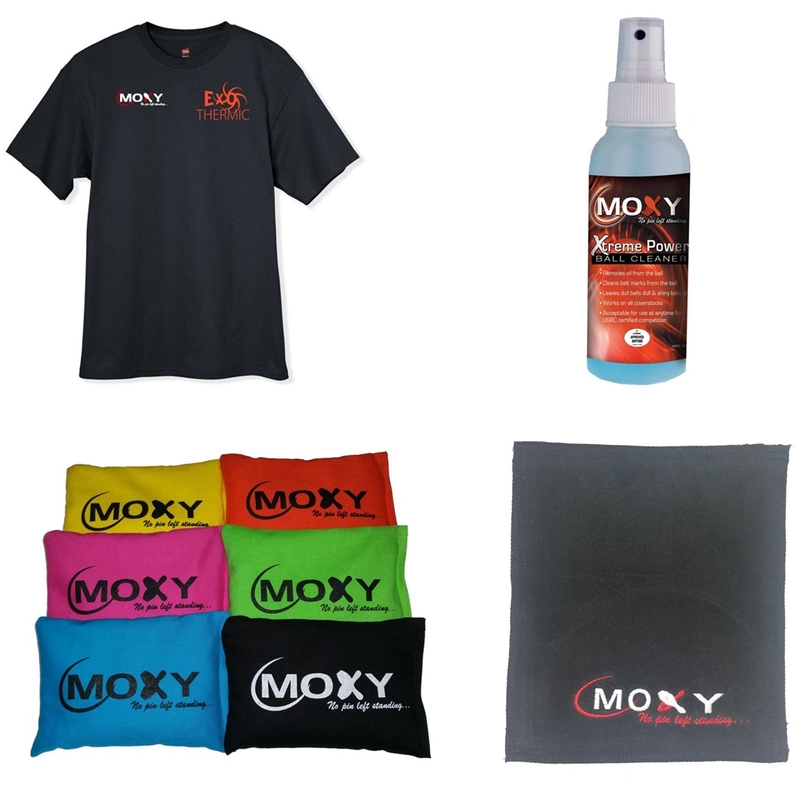 This Moxy Bowling Accessory Package includes a Moxy Exothermic T-Shirt, Moxy Xtreme Power Ball Cleaner, Moxy Sports Grip Sac and a Moxy Bowling Ball Cleaning Shammy. If you want your bowling ball to be Xtremely Clean, you need the MOXY Xtreme Power Bowling Ball Cleaning Package. This is the perfect ball cleaner and micro fiber towel package to keep your new bowling ball performing at its best. This Moxy Xtreme Power package revives natural tack to ball surface for ultimate lane-gripping power. It also removes lane oil, dirt and belt marks. The cleaner comes in a convenient 4 ounce Spray Bottle.